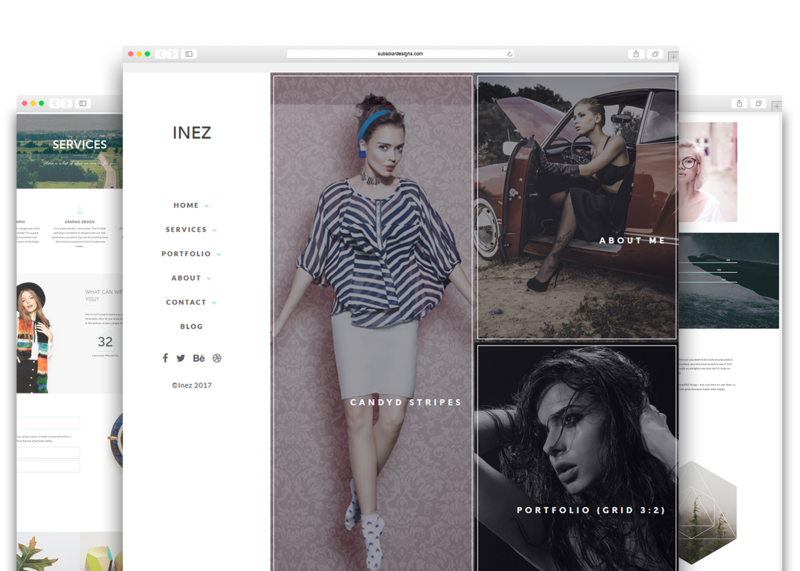 Inez is a modern WordPress multi-page portfolio showcase designed for creatives, designers, photographers and other artists. Featuring multiple portfolio, grid (and masonry) options and numerous project templates. We’ve also implemented an option to automatically resize the grid items to the most common aspect ratios so that your images are displayed in the most perfect way. It features an easy and fast Page Builder as well as a 1 Click Demo Install. We have created Inez with a distinctive and unique look – the front page consists of multiple blocks which can be arranged in different layouts and sizes. 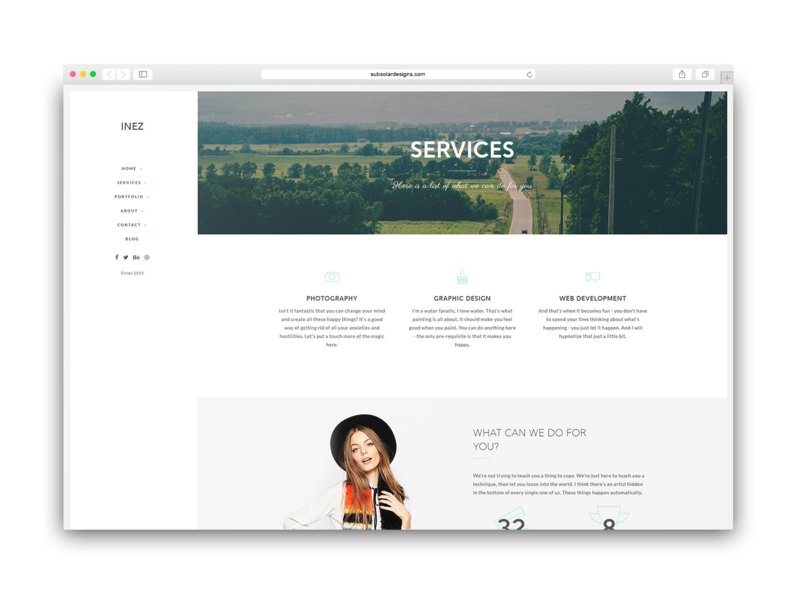 We have also included multiple of portfolio layouts and templates and at the same time keeping the theme to be fast and easy to use. 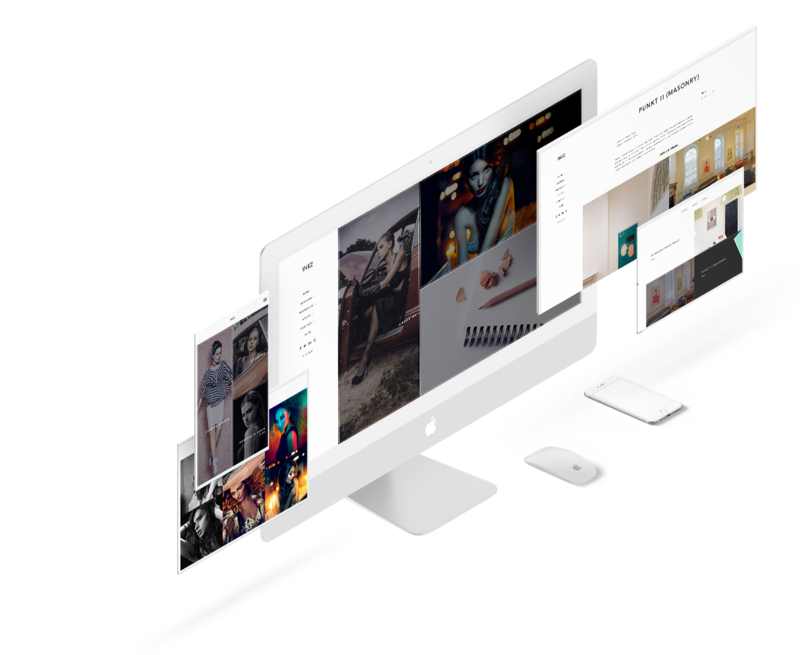 There are multiple templates , which you can use to display your portfolios and galleries. You can pik from a masonry, grid, horizontal style with each having a set of options which you can adjust. Inez features automatic thumbnail resizing for the most popular aspect ratios. With a single click you can present your galleries in the following ratios - 1:1, 3:1, 3:2, 4:3, 16:9, 1:3, 2:3, 3:4, 9:16. You can customize each of your portfolio with custom spacing between the items and specifying the number of columns in which they are displayed. 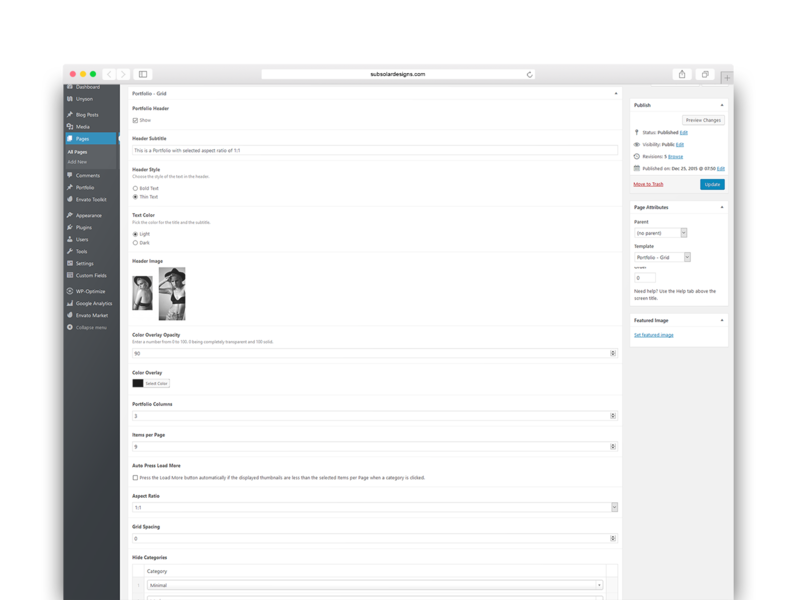 Powered by the awesome Unyson framework, the Inez Page Builder is full with custom shortcodes which you can resize or place anywhere you want. Thanks to the Page Builder and the numerous Templates you can customize your pages the way you want with ease. The theme also comes with a Theme Settings menu where you can adjust the typography, colors and more.